Because who says oatmeal has to be boring? It’s cheap, it’s easy and it’s tasty – what’s not to love? 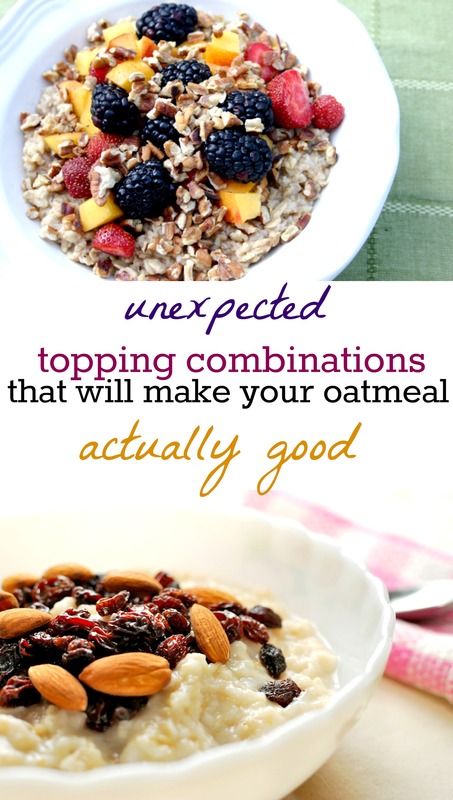 Avoid getting stuck in an oatmeal rut (because we all know the brown sugar and raisin combo can get old, fast) with these nine creative oatmeal combinations. 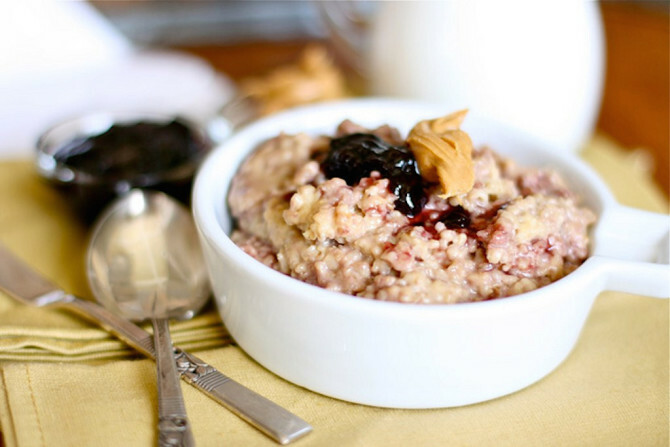 Turn your favorite childhood flavor combination into a quick breakfast by adding a spoonful of peanut butter and jelly to your morning oatmeal. Feeling fancy? This is combo for you. 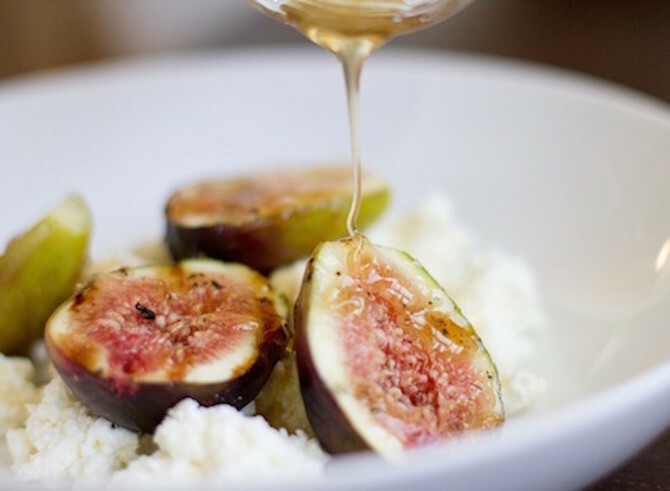 Just add chopped dried figs, a spoonful of ricotta and a drizzle of honey for a posh oatmeal experience. 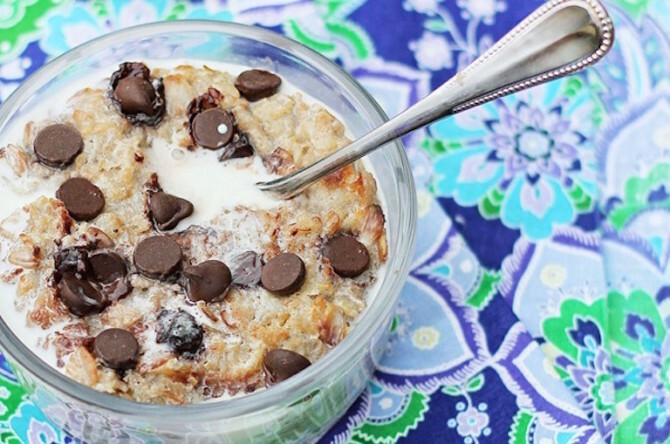 Mix chocolate chips, peanut butter and honey into a bowl of your favorite oats for a healthy cookie dough alternative. You won’t be able to tell the difference. 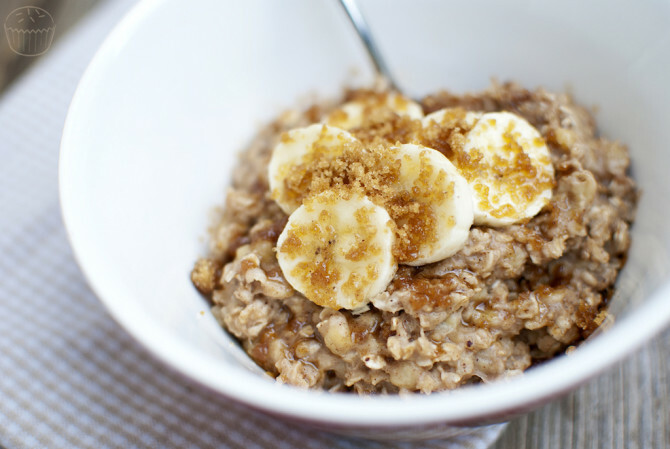 Add ripe banana, chopped walnuts and maple syrup to your morning oatmeal for a cozy breakfast. 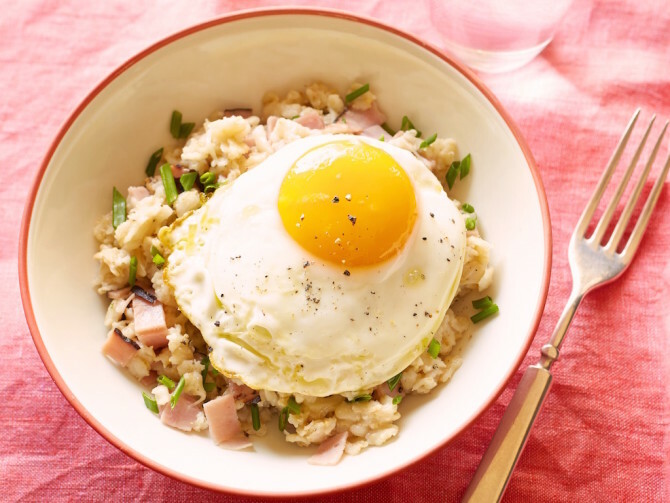 If you aren’t a fan of sweets in the morning, try combining a fried egg, shredded cheese and chopped scallions for a savory breakfast. 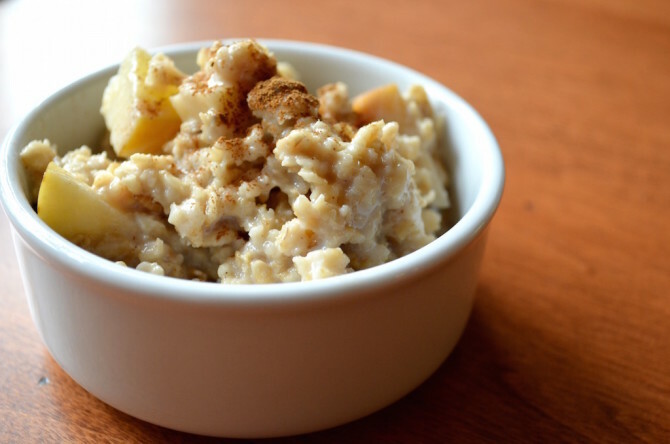 Give this popular instant oatmeal flavor an upgrade with freshly sliced apples, a sprinkle of cinnamon and brown sugar for a tasty morning meal. 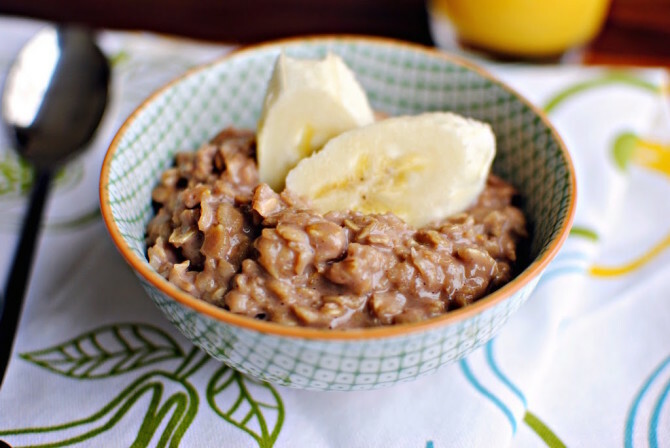 All foods are instantly improved with Nutella and oatmeal is no exception. Add sliced bananas and a dollop of the chocolate hazelnut spread for a sweet morning treat. 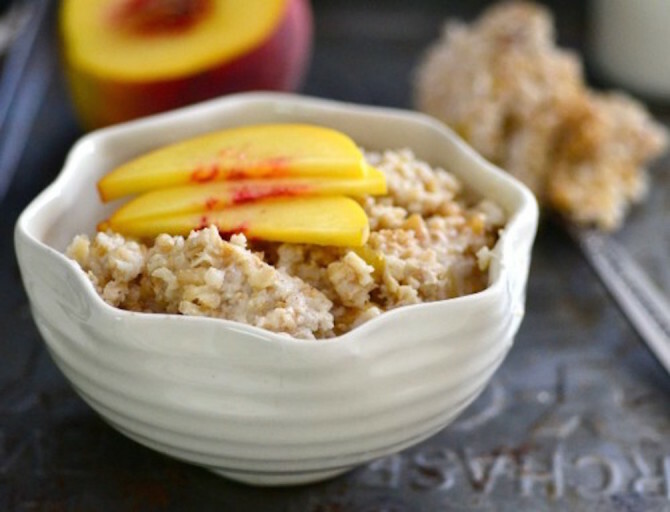 Try incorporating this classic flavor combo into your breakfast routine by adding sliced peaches and a dash of whole milk or half and half to your oatmeal. 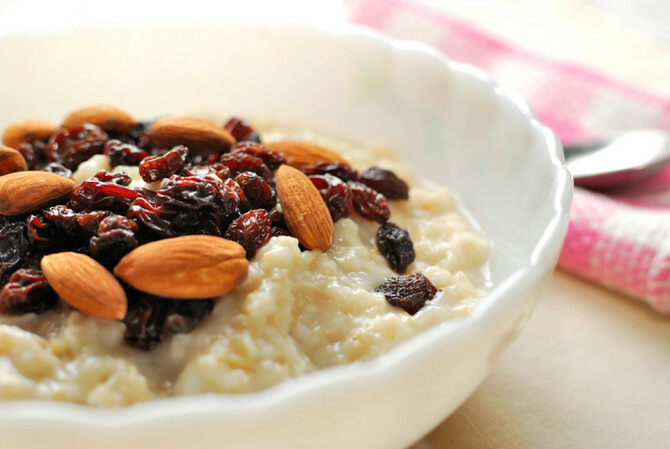 Mixing in dried fruit and nuts is a sure way to add texture and flavor to your morning bowl of oats. Pro-tip: chopped dried apricots and cinnamon covered almonds make great oatmeal toppings.